With all the Jeep Wrangler JL's out on the road these days you need to make yours stand out from the rest. Not just some type of cosmetic change like a decal or something but something that will give you a boost in the performance department as well as turning heads when you drive by in the sound department. 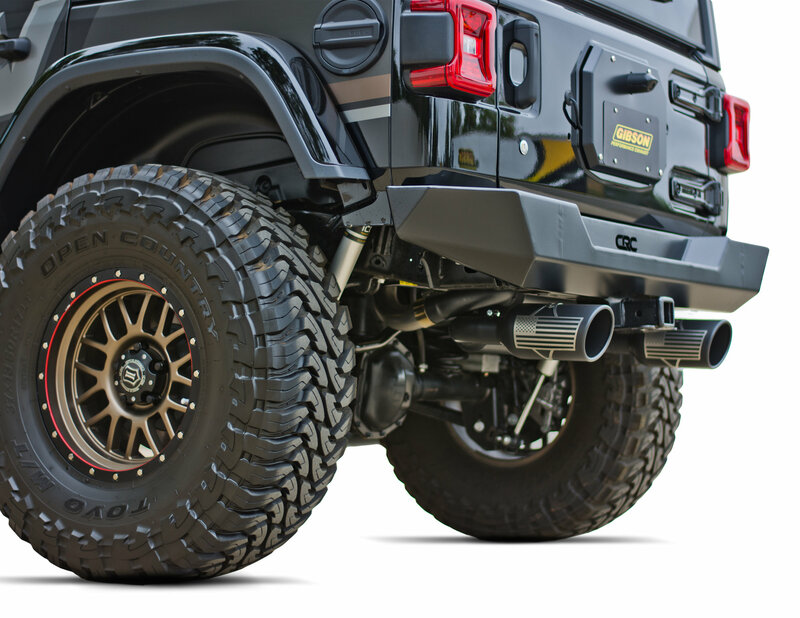 Gibson Performance Patriot Series Dual Axle Back will not only improve the performance of your JL but will also show your fellow Jeep buddies how united you stand with your choice of an exhaust system. 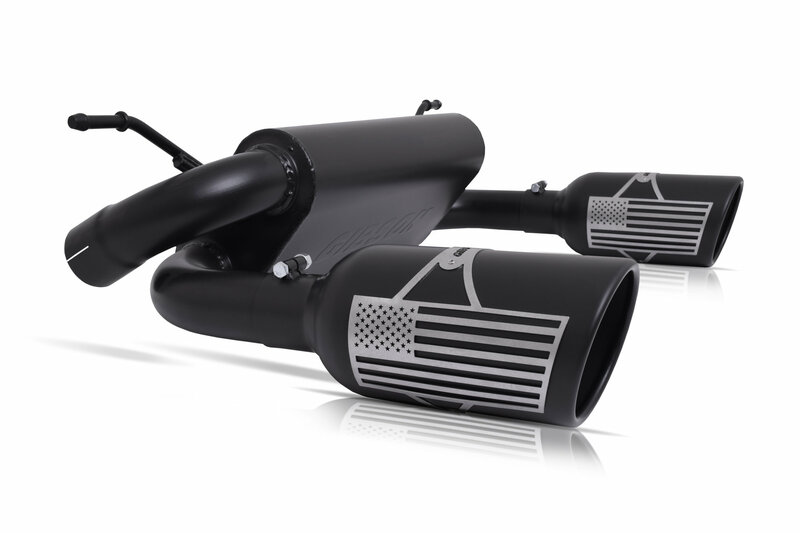 The Superflow muffler screams independence all the way through the black stainless steel tubing coming out of 5" black ceramic tips that proudly display the American Flag Logo clamped on them giving you the freedom to go wherever your Wrangler will take you. Backed by a limited lifetime warranty this hassle free bolt on kit will give your Jeep a total make over in the performance, look & sound department. Proudly Made in the USA. Mandrel Bent Tubing: Gives you smooth bends in the 2.5" stainless steel tubing allowing exhaust flow to flow uninterrupted leading to better horsepower along with sound over your stock exhaust system. T-304 Tubing: Premium mixture of chromium and nickel to help prevent rust leaving your exhaust looking like the day you bought it years down the line. 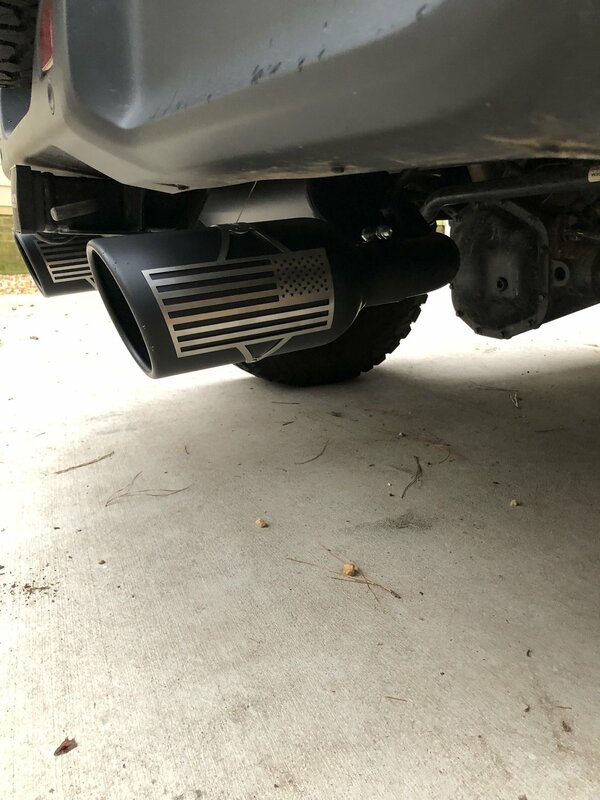 Exhaust Tips: These are an eye catching 5" rolled edge black ceramic T304 stainless steel tip with a chrome American Flag logo clamped onto them putting your heart on display for your country. Installation: Comes with all the hardware you will need for a a hassle free direct bolt on installation giving your JK and new look and sound in no time. The exhaust was easy to install and looks super nice. Had to drop it twice now for installation of other parts, however due to the relative ease of installation it is not a big deal. The Jeep sounds much nicer now and adds just the tiniest hint of patriotism. Would highly recommend.